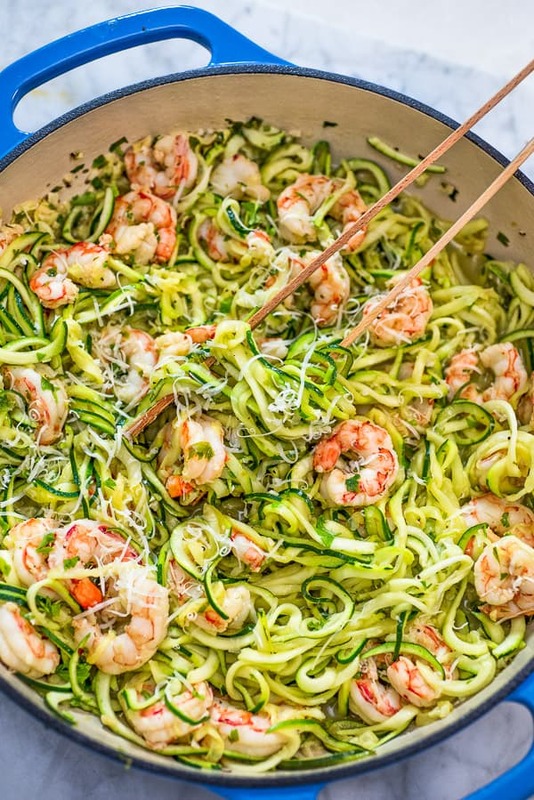 This One Pot Shrimp Scampi with Zucchini Noodles makes a tasty and healthy dinner. 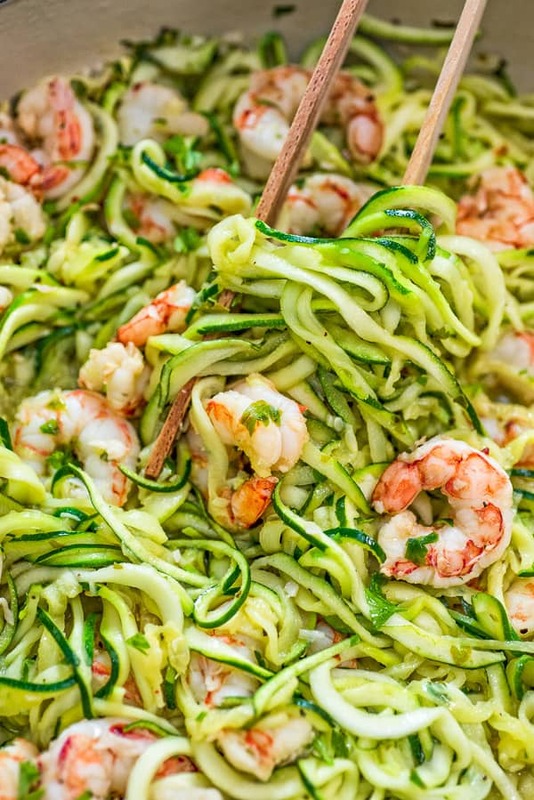 The shrimp are cooked in a buttery, lemon-garlic sauce and then combined with zoodles. 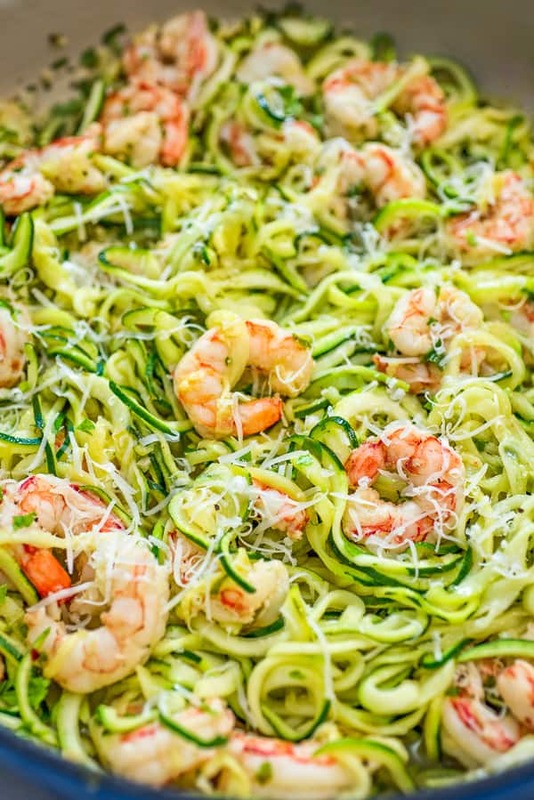 This Shrimp Scampi and Zoodles recipe is one of my favorite ways to enjoy spiralized zucchini. 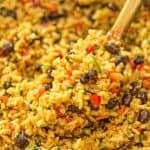 This dish is light, yet makes you feel full; simple, yet so elegant and delicious. Don’t wait another day and treat yourself with this goodness. Before we get into the recipe itself, let’s talk about zucchini noodles, shall we? 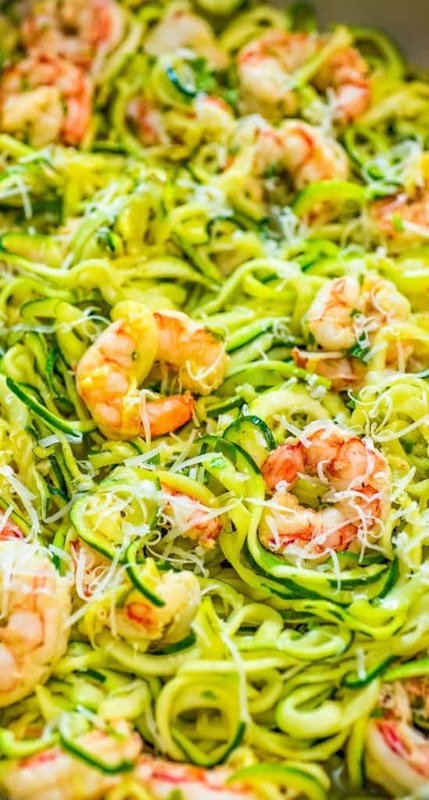 You’ll need a spiralizer and some fresh zucchini to make zoodles. A spiralizer is a tool that turns veggies into spiraled, curly, pasta-like strands. Spiralizers are now made by different brands, and may vary by shapes, amount of blades, and ease of use. I bought this Ultimate 7-Blade Vegetable Spiralizer from Amazon and I am very happy with it. It is reliable, easy to use, and inexpensive. 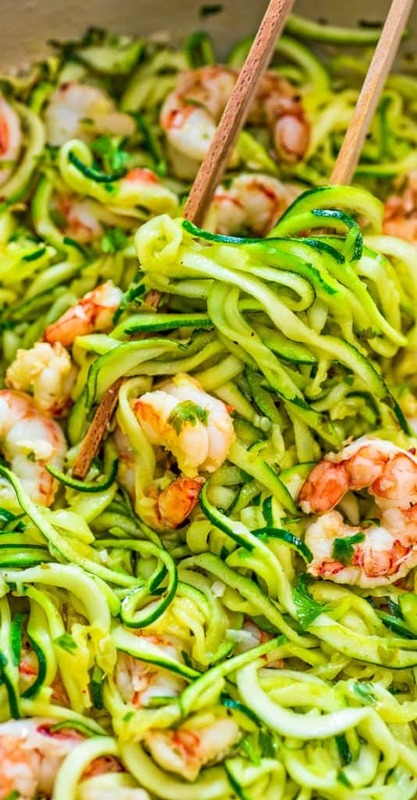 If you don’t have a spiralizer, and don’t quite feel like buying one yet, you can find packaged spiralized zucchini is large grocery stores, usually located next to the fresh organic produce or pre-cut salad ingredients. Read more about spiralizing here: 7 Best Vegetables to Spiralize. Check out my video tutorial below! 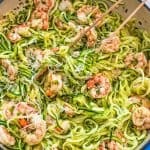 This Shrimp Scampi and Zoodles recipe is Keto friendly. 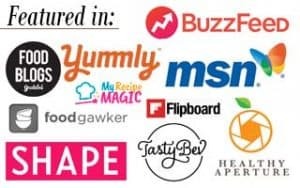 WHAT IF I DON’T OWN A SPIRALIZER? Julienne your zucchini. Just cut it into a long, thin strips. Use a julienne peeler. If you have one of these in your kitchen drawer, you are in luck. This tool will definitely help you make zucchini noodles. Use a vegetable peeler. Apply light pressure with a vegetable peeler along the sides of the zucchini. This will result in thin, but wide stripes. That’s ok, they work, too! 1. 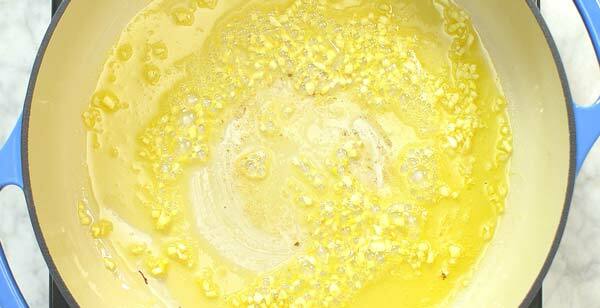 In a large, heavy-weight skillet, melt one tablespoon of butter with the olive oil, and then add the garlic. Sauté until fragrant, about 1 minute. 2. Add the wine and bring it to a simmer. Let the wine reduce by half, about 2-3 minutes. 3. Stir in the shrimp, and season them with salt, pepper, and red pepper flakes. 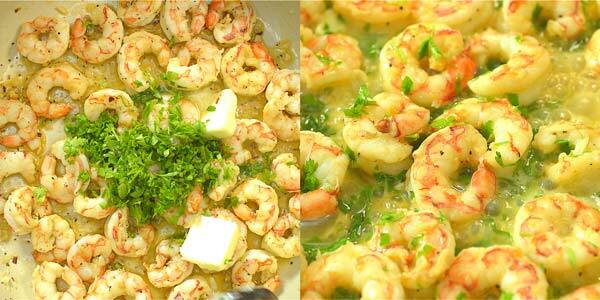 Sauté until they are cooked through, about 2-4 minutes depending on the shrimp size. 4. Add the remaining butter, parsley, and lemon juice. Stir. 5. Add the spiralized zucchini and cook for 2-6 minutes, depending on personal preference. * Taste for salt and add more if needed. 6. Garnish with grated Parmesan. 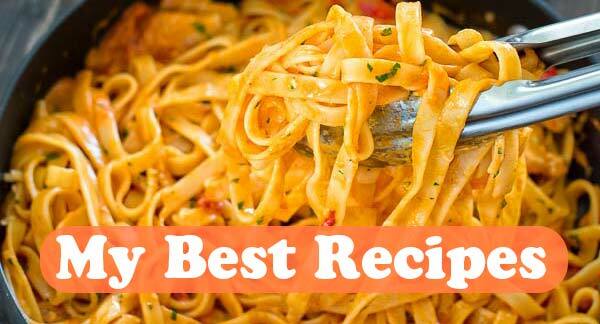 * I’ve noticed that some people enjoy the crunchy (almost raw) zucchini noodles while others prefer them to soften and cook through a bit. That is why I recommend experimenting with the cooking time for your zoodles, so you can figure out how you enjoy them the most. Please remember that if you cook your zoodles for more than 2 minutes, they will release some liquid. 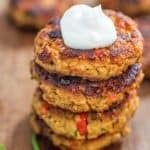 Can I use a different vegetable instead on zucchini? Yes! 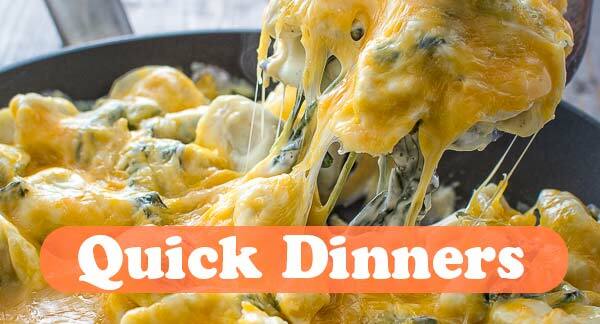 You can use butternut squash successfully. 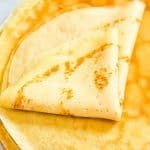 Why do I have so much liquid in my pan? Zucchini noodles release water while cooking. To avoid this, keep your cooking time to 1-2 minutes (just heat through). Or cook your zoodles longer, and just discard the extra liquid. Can I make it without wine? Yes! Use vegetable or chicken stock instead. 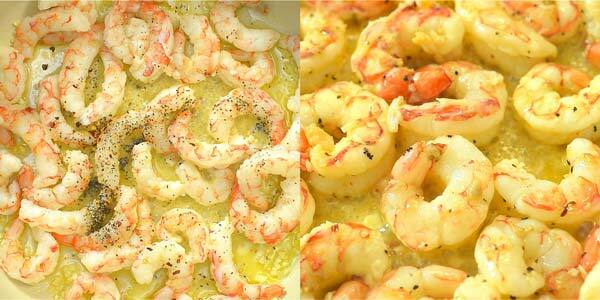 What’s the best wine for shrimp scampi? Crisp white wines, such as Pinot Grigio, Sauvignon Blanc, and Chardonnay work best. 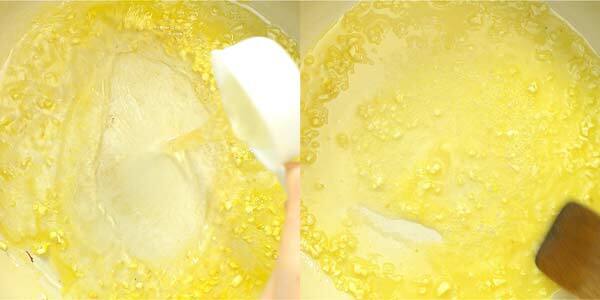 In a large, heavy-weight skillet, melt one tablespoon of butter with the olive oil, and then add the garlic. Sauté until fragrant, about 1 minute. 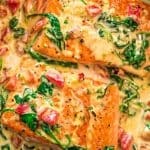 Add the wine and bring it to a simmer. Let the wine reduce by half, about 2-3 minutes. Stir in the shrimp, and season them with salt, pepper, and red pepper flakes. Sauté until they are cooked through, about 2-4 minutes depending on the shrimp size. Add the remaining butter, parsley, and lemon juice. Stir. Add the spiralized zucchini and cook for 2-6 minutes, depending on personal preference. * Taste for salt and add more if needed. 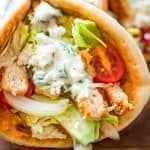 A delicious dinner! Made it with store bought zoodles and thawed out frozen shrimp! Thanks, Lisa! I am glad you enjoyed it! 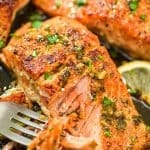 Fantastic dish! Will make again. Thank you, Tania! Hi five! I am glad you love the spiralizer, Julia!